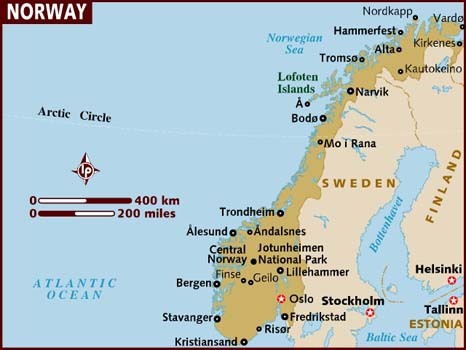 Norway is a country at a crossroads, although given Norway’s natural wonders and significant wealth, it’s a situation in which most countries in the world would love to find themselves. Norway is, by any standards, one of the most beautiful countries on earth, but that beauty brings with it a responsibility that weighs heavily upon Norwegians. For here is a people with an enduring love for the natural world that is profoundly etched into the national character. In the past, this was expressed in the Norwegian tradition of isolated farmsteads that colonised the most secluded corners of the country’s wilderness. Increasingly, however, the irrevocable movement of Norwegians towards the cities – cities that are themselves places of great beauty, such as Bergen, Trondheim, Stavanger and Tromsø – has altered the relationship between Norwegians and their natural world. But one thing remains unaltered: to paraphrase that great Norwegian son, Henrik Ibsen, those who wish to understand Norwegians, must first understand Norway’s magnificent but severe natural environment, for these are a people of the land, perhaps more so than any other Europeans.